Dundee had one of the earliest railway systems in Scotland (dating from the 1830s), and by the early 1900s a network of lines served virtually every town and village in Angus and Kincardineshire. 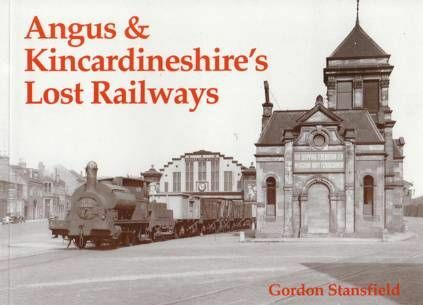 Today there are just eleven stations remaining in the two counties covered by this book, although passengers can travel back in time by taking a ride on the preserved steam railway between Brechin and the Bridge of Dun. 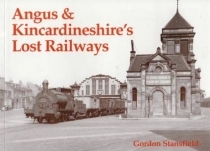 Stations illustrating Gordon Stansfield's text include Laurencekirk, Marykirk, Drumlithie, Newtyle, Baldovan and Downfield, Lochee West, Colliston, Leysmill, Crathes, Brechin, West Ferry, Elliot Junction, Lunan Bay, Portlethen, Justinhaugh, Tannadice, Dundee East and West, Edzell, Barnhill, Johnshaven, St Cyrus, Kirriemuir, Forfar, Guthrie, Auldbar Road, Dubton, Hillside and Newtonhill.